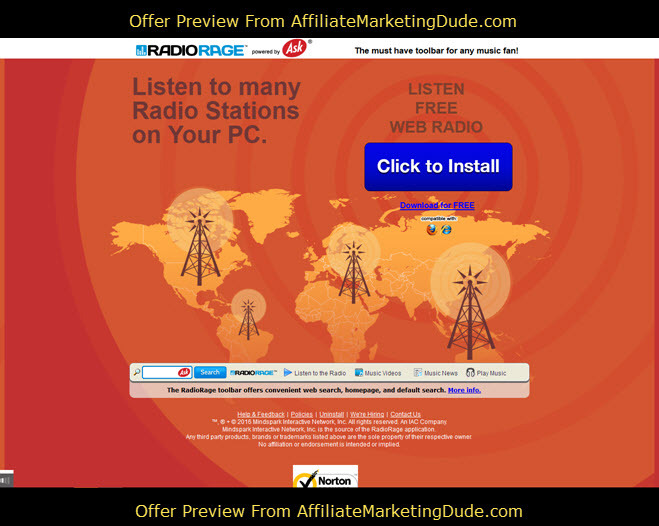 This great free toolbar allows users to access the best local and internet radio stations industry news song recommendations and more! The must have toolbar for any music fan this offer is sure to be a hit. Converts when the user downloads and installs the Radio Rage toolbar.